The weather hasn’t been the only thing that’s been extremely hot! 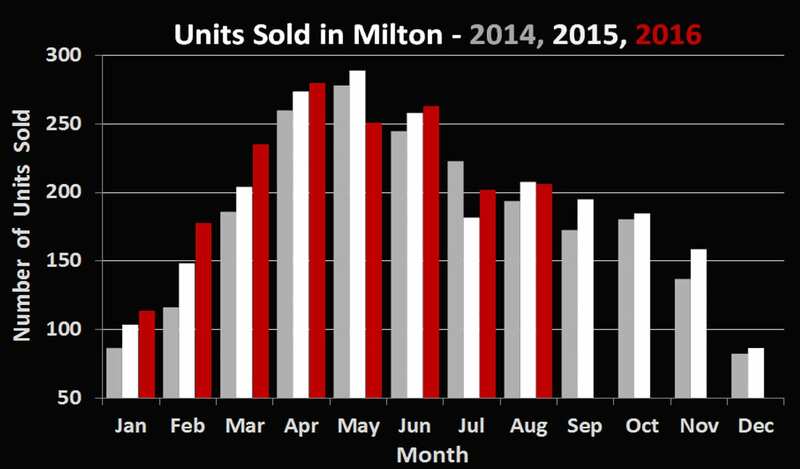 The 206 residential sales here in Milton for August 2016 were in line with the previous year’s number of 208. It seems the only thing that has been holding the market back has been lack of inventory. 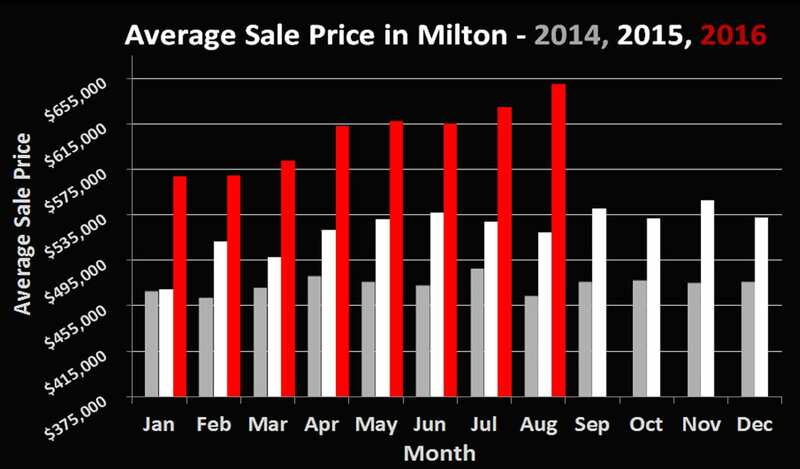 Homes that are hitting the market are selling extremely quickly and for record prices. As we’ve become accustomed to seeing this year, average prices are up a mind-boggling 25.1%, to $650,100, more than $130,000 higher than the figure posted a year ago. Continuing record-low interest rates, combined with strong foreign interest in the GTA market seem to be fueling what has largely been a seller’s market thus far this year. Lately we’ve been running into some (frustrated) buyers who unknowingly have signed buyer representation agreements (BRA) with other agents. In most cases they were misled about what was being signed and then were never given a copy of the signed document. This can end up costing the buyer up to an additional 2.5% of the cost of the home they end up purchasing. No matter who your agent, it is always prudent to request that any document you are to sign be thoroughly explained and that you be left (or delivered as soon as possible) a signed copy. With most agents, this will be provided without you having to ask. In the case that it is not, that may be a red flag. When it comes to buyer agency agreements, there are 3 things to look for: Length of agreement (90-180 days is standard, you’ll have to initial for anything longer), Geographic Location (this can be as small as the address of 1 home you are trying to buy) and the commission to be paid (in our opinion, buyers should not be responsible to pay ANY commission). Remember, you do NOT have to sign anything (especially a BRA) to have listings sent to you by email, or to view a property.